Irving Fisher was one of the greatest and certainly one of the most colorful American economists. Widely acknowledged as the chief architect of modern neo-classical economics, he was a writer and teacher of prodigious scope and output whose business career included the earning of a fortune from the invention of a card index system, and its subsequent loss in the Great Crash. He was also an active campaigner for numerous causes, including world peace, prohibition, and 100 percent deposit reserve money. 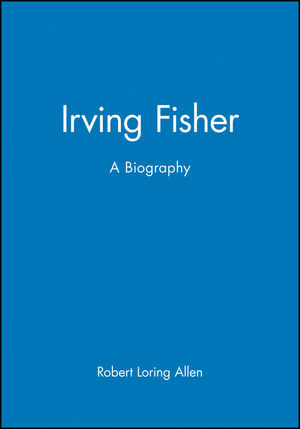 This biography, focusing both on Fisher's personal life, as well as on his intellectual contributions, will be of wide interest to economists and of particular interest to American economics scholars who regard him as their pre-1950 giant of the discipline.